Oscar Mokeme on July 31 at the Museum of African Art & Culture on Brown Street in Portland. He is moving the collection to Portsmouth, New Hampshire. The Museum of African Art & Culture at 13 Brown St. in Portland will celebrate its 17th anniversary Thursday, Aug. 6, and then move to New Hampshire. 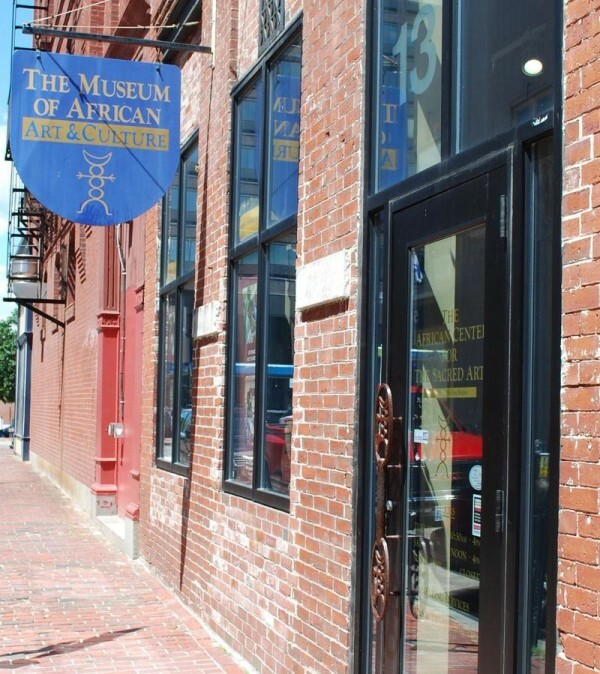 PORTLAND, Maine — On Thursday, the Museum of African Art & Culture at 13 Brown St. will celebrate its 17th anniversary. It will be its last anniversary in the city. “I felt a call to come to Portland, now I feel I am being called to come to Portsmouth (New Hampshire),” museum founder Oscar Mokeme said July 31. 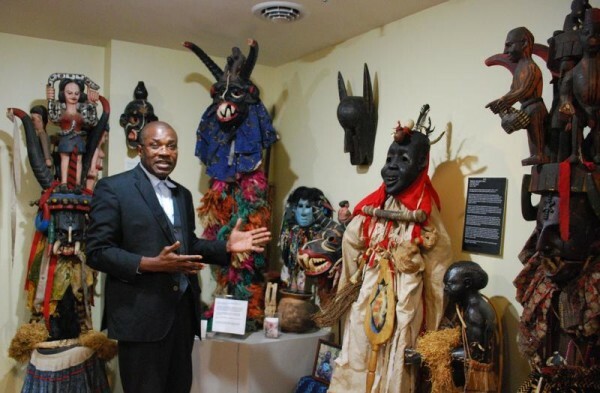 Mokeme, a Nigerian native who has been collecting African art for almost 40 years, has been in Portland since 1989, and opened the museum on Spring Street in 1998. The museum moved to Brown Street between Congress and Free streets seven years ago. Mokeme said the move to Portsmouth will allow a physical expansion and a larger digital presence. The museum’s collection of masks, costumes, photographs and artifacts are expressions of emotions and conditions that are universal, Mokeme said, although they carry their own unique powers of expression. “They speak out against racism, intolerance and the stagnation of the human mind,” he said. Mokeme said he expects to reopen near the African Burying Ground in Portsmouth. The memorial area on Chestnut Street was the site of an 18th-century cemetery that was eventually paved over as Portsmouth grew, according to the burying ground website. The street remains paved, but the dead are memorialized with coffin-shaped markings, and Mokeme said he felt the power of the open space as he helped consecrate it. “Something pulled me to turn around and come back to the bones of these ancestors,” he said. The physical roots are only part of what Mokeme sees as a new chapter for the museum. He said he would like to work with Harvard University, the United Nations and the U.N. Educational, Scientific and Cultural Organization to expand the museum’s mission with traveling exhibits and interactive web displays. Whether he is pointing out the symbols of conflict wrestling on top of a tribal mask, the wooden baskets where the deeds of one’s life can be stacked, or the octagonal stars emblazoned on foreheads to show how the human experience draws from the earth, stars and other creatures, Mokeme’s animation in describing the collection is as vivid as the art itself. He said he arrived in Portland by happenstance, after a chance meeting in New York with Mexicali Blues founder Peter Erskine. Mokeme said support from former Hannaford Bros. Co. executive Art Aleshire and the Glickman and Payson families helped turn his gallery into a museum. Aleshire provided the space on Spring Street for the first gallery site. The collection became more than an introduction to African art, it also became a touchstone for immigrants, he said. Mokeme, 55, said he will still call Maine home, but looks forward to more time with his family, and expects to host annual exhibits in Portland. After noting artwork that showed “without purpose, there is no honor,” Mokeme reflected on the collection and presentation of his art.